What Are You Eating & Drinking? We made broth from some lobster shells left over from a takeaway and ate it with wantans yesterday - delicious. I just had a BLAT, it's a BLT with Avocado. But later tonight it will be Chorizo and sprout soup. There's a carton of bacon and lentil soup in my freezer, cut price of course, for when Techy tires of the excesses of gluttony. Breaded bits of chicken shaped like Xmas trees. Going out of date now, hence the price. Breaded bits of chicken shaped like Xmas trees. That screams 'another quality Tesco product'. The all-too-brief season of Seville Oranges may be drawing to an end. I missed them entirely last year. You don't have to make marmalade. My sixteen pippy, bitter fruits are destined for a bath in gin, to be squeezed into a game casserole and to enhance my salad-dressings. They are what we most need as the darkest three months slink away. They grew on trees in my garden in Iraq. And I used them to make Vodka and Orange. And my meal of the moment. A slice of bread and dripping with the most delicious jelly. Just like ma momma used to make. My mother was very nostalgic about this wartime treat. We were threatened with it weekly, if we did not appreciate what was on our plates. She never actually ate it herself, despite every opportunity. I gather it's the dirty bits that taste nicest. Hoping the oranges are soon back on your menu! ...Hoping the oranges are soon back on your menu! ..
An orange a day is part of my 'diet'. But vodka ! No No No. Not even the Stoliknaya I used to enjoy. My only alcohol consumption now is when I'm cooking. And that is limited to two tumblers of my home made 'Chef's number 63, special reserve'. red. Well, a guy can't be expected to cook well without a glass of wine, can he. Maximus' post on ginger beer brought back memories. The last time I had it was in the 1960's in Canada. It was, appropriately enough, bottled by Canada Dry. I remember that I actually liked it, but it is hard to get in the US. Onward, my wife wanted a pina colada, and since we had the required ingredients, I made one for each of us. It has coconut puree, unsweetened pineapple juice, and a generous slug of rum. This was last night as we were watching NCIS. Today, we went up to Wichita, Kansas, and did some shopping. While there, we stopped at an Indian Restaurant. Last week, we had stopped at another Indian place in Wichita, and were both bitterly disappointed. So today, we stopped at another one and this one more than made up for the earlier experience. This place was good, and the food was delicious. I well remember my first experience with Indian food. I was 11 years old and we were at the 1962 Seattle World's Fair. We had taken a ride up the Space Needle and there was a menu item named the Taj Mahal and ordered it and I really liked it. The last time I ate at the Space Needle (and the first time for my wife) was about two years ago and the dinner bill for six people was more than $500. Tried a bottle of Lidl Islay single malt whisky. Not an out & out classic but punches well above it's weight at around £17.50. 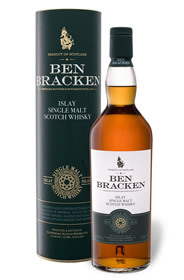 They also do a Speyside which I may try next. Chorizo and sprout soup; again. We bought one. So awful it's never been finished. Really really awful. It will be ok to light the barbi with tho, yes? Don't all whiskies taste equally awful? It's for cleaning drains. You're not supposed to drink it. Pita chips and Pepsi cola. Just had a pepsi. means I'll have heartburn for the next hour. Should that be dispepsia, daspepsia oder derpepsia ? Eating a very nice apple. Had to let it warm up to room temp for a day as it was in the fridge' crisper for a week. That's funny....I drink it now and then to get rid of heartburn. Ham sandwich, chicken soup with added herbs, a flapjack and a de caf coffee. Gotta say, Marks and Sparks' lentil and root vegetable bake is delicious. I wish they'd leave the bloody mushrooms out of every other veggie/vegan dish, though, I hate mushrooms. Mushrooms are a cheap way to pad out the recipe. And a cheap way of getting me to not eat the meals.